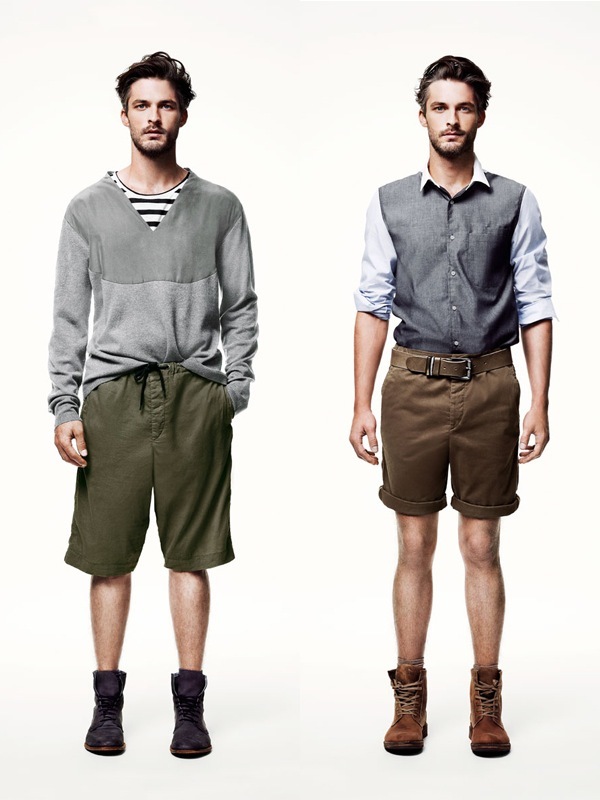 some pictures from h&m spring summer 2011. at first glance, i really love the shots, but when you break it down, i find that i love the styling, the lighting and the casting of model ben hill who is such a great choice. beyond that, if there's anything i really like about the collection, it would be the shoes, loving both the purple and brown boots. hope it gets put into production, and that it looks decent on the shopfloor. 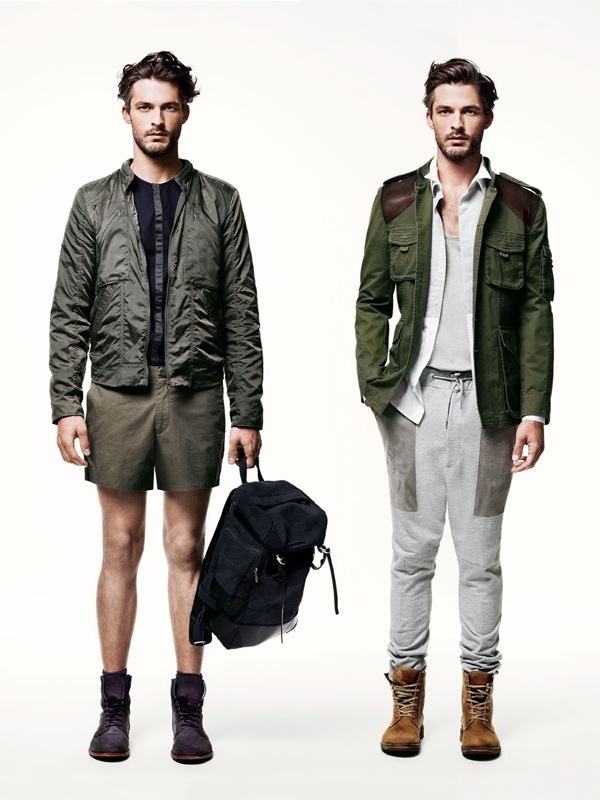 excited about h&m menswear? or do they need another designer collaboration to shake it up a notch? Love all of this. Probably the first SS collection I've fallen for in several years..
Great concepts, but I don't think they will work on 'real people'. I like the purple boots, but the rest is not very inspiring. Cute model though! imo they keep getting better and better; that army look jacket is hot. Don't like it at all. The only things I could ever buy are the purple boots (but not in purple) and the first Tshirt, the on with the satin application. I like this. Very colonial and sporty looking and suitable for the tropical weather (save the jacket)! 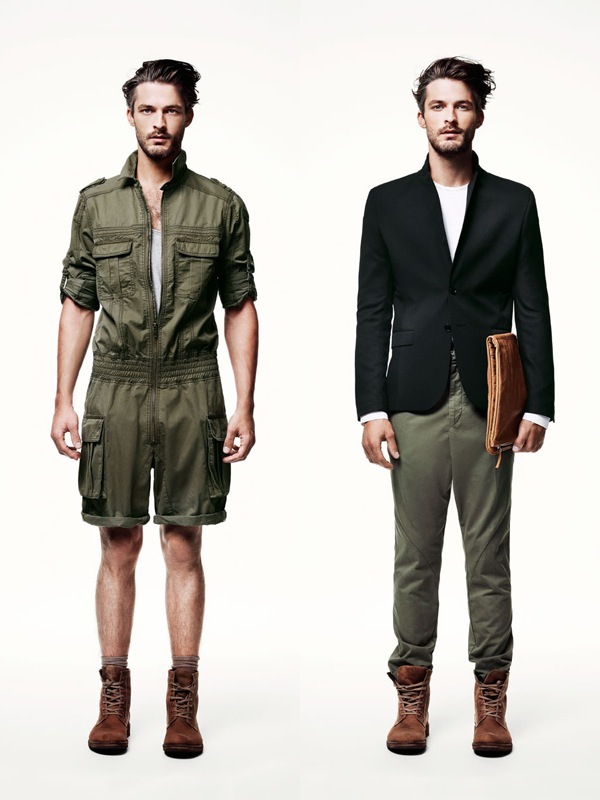 Those nice boots in the H&M men trend lookbook never get to the stores. I'm not even shure if they are all hm. The whole collection reminds me the last one from Louis Vuitton. Love the boots too and I wouldn't mind those sweats. I think the styling is to be commended to a but rather boring collection that has been seen already. great designs! especially love the one with a blazer and basic white tee underneath. love the boots too!